Diagrama has co-launched a new book which explores solutions and ideas around tackling violence in society. 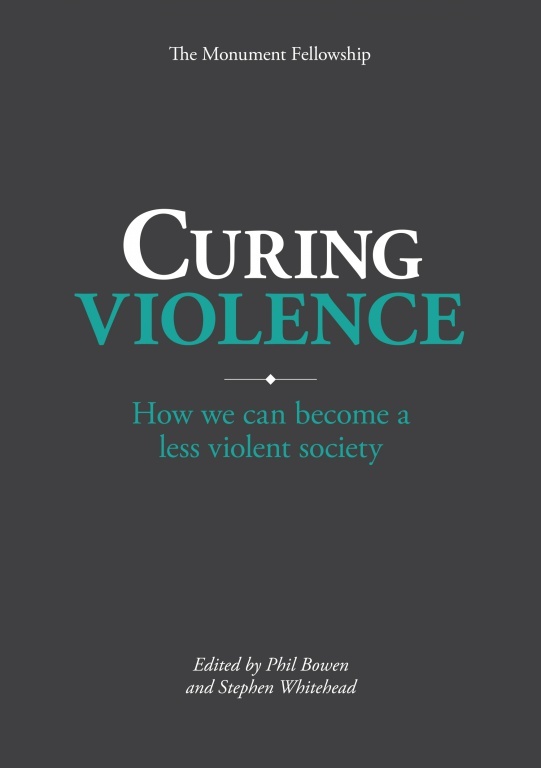 ‘Curing Violence: How we can become a less violent society’ examines the complexities around the causes of violence from a wide variety of perspectives. Supported by the Monument Trust and Diagrama's Monument Fellowship peers – The Koestler Trust, Clinks, National Criminal Justice Arts Alliance, Restorative Solutions, Centre for Justice Innovation and Lemos & Crane – this collection of essays includes contributions from 44 journalists, MPs and professionals across the public sector. The book also features contributions from award-winning Guardian journalist Gary Younge, Chief Constable Mike Barton, Jonathon Poynton from Red Thread, Will Linden of Glasgow’s Violence Reduction Unit, and a foreword from Vicky Foxcroft MP, a co-chair of the Youth Violence Commission, amongst many others. Diagrama's deputy fostering manager Margaret Gardiner contributed a unique insight into the thoughts of a foster child, exploring the emotional turmoil which can culminate in violent behaviour and former offender John Yarrow shared his experience of how spending time in a Diagrama secure re-education centre in Spain helped him to turn his back on a life of crime. Other contributions offer perspectives on curing violence from across public services and civic society, including insights into tackling paramilitary violence in Northern Ireland, public health approaches pioneered in Cardiff, service users voices, violence reduction in children and family services and community led approaches from New York City and many others. This is the second book in the Monument Legacy series - the first, Life Beyond Crime, looked at what those at risk of offending, prisoners and ex-offenders need to learn.